This week the children have been taking part in activities based around Remembrance and World War 1. 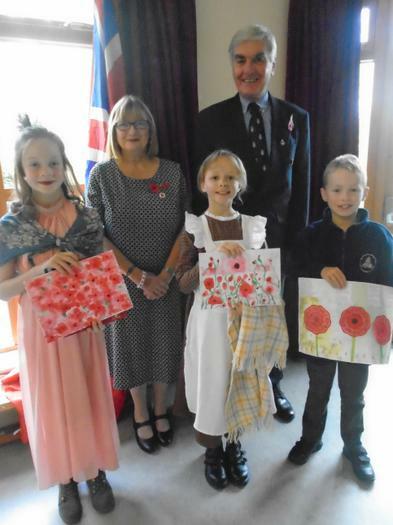 We were fortunate enough to welcome Andrew and Elaine from the Royal British Legion on Monday who informed the children about the origins of the Poppy Appeal. They also announced the winners of the local poppy art competition and we were delighted to celebrate with Ben who won the under 18s category and with Verity and Millie who were runner up and highly commended for their work. 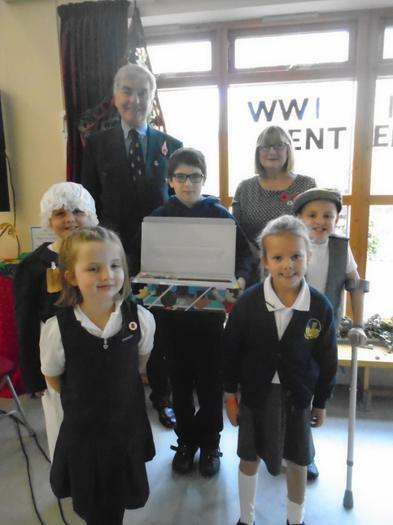 Nigel Wood, local historian, came to school with a treasure trove of artefacts, photos and information about the local people who are acknowledged on the Roll of Honour for their contribution to the war effort. Year 6 have spent the week exploring these and gaining empathy for those that served through the drama activities that they have done with Mr Brown. The weeks events have culminated today in a wonderfully thought-provoking service in church. Classes contributed to this with poems, information and song and wreaths were laid to honour the fallen. We are particularly grateful to the parents, grandparents and members of the community that attended the service and those that have made donations to the RBL poppy appeal throughout the week.